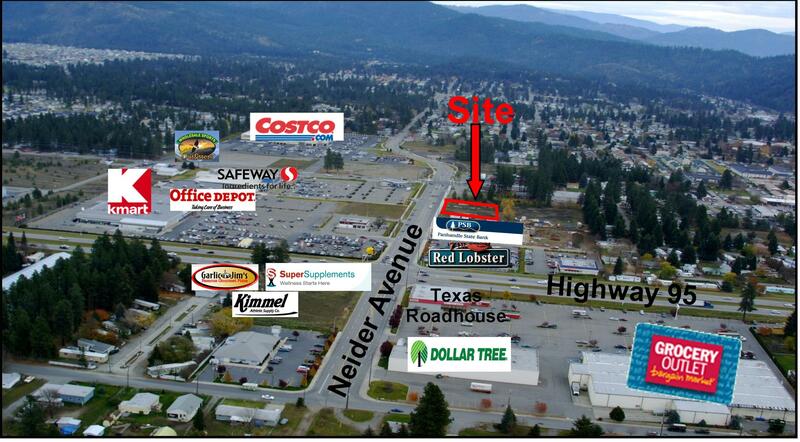 Prime retail land near Costco, Safeway, Kmart, Red Lobster, Tractor Supply, and other national retailers. All utilities are available. Access is superior on Neider Avenue via Highway 95 and Government Way. Excellent end use site or development opportunity.